Are you on the lookout for a good host for your online casino? Well, there are a lot of things you will have to consider. You will have to find a reliable host to provide the service to you. The host will also have to be in a country that allows gambling so that your website stays online. After all, you wouldn’t want to lose your casino due to regulations. 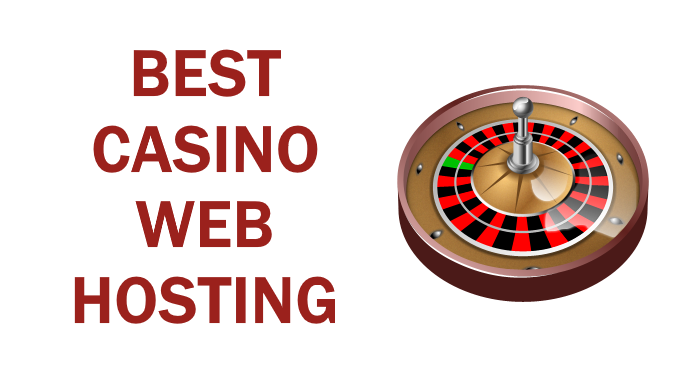 So, for that reason, we have done some research and found the top 10 casino web hosting providers. When you take into consideration that gambling is prohibited in most countries and that there are hundreds of hosting companies out there, it’s no wonder you need to spend a lot of time checking before you choose hosting for your website. If you’re looking for casino web hosting that is located in a county where gambling is legal, and that will always keep you online, this list is for you. The very first thing you should read when starting any type of an online business is this page. Every hosting company has it, and within it, and Acceptable Use Policy. Pay close attention to details and go over these two multiple times. And, even if the policy doesn’t mention your content, double check with their support team. If you are not a 100% sure your casino will be safe there, keep searching. If you are not careful enough you could end up losing the casino, without even getting a backup of your data. You might think that this is impossible, but check forums and you’ll see a bunch of people who lost their websites and either had to transfer in a hurry, or lost a significant amount of their data due to sudden shutdowns. Online gambling is usually frowned upon, as is gambling in general, and online casinos are no exception. In fact, it tends to be straight up forbidden, especially in countries like Japan, Turkey, China, and a lot of countries that follow the Muslim faith. So, you will have to find a host that is from a country that allows online casinos. And you should be extra careful if you are from the United States. Out of all the countries in the world, only several have decided to legalize online gambling. You can safely choose a host that is based in the UK, New Zealand, Australia, certain provinces of Canada, Netherlands, and most of Europe in general. If you insist on US hosting, you should know that California, New York, Massachusetts, Illinois, Delaware, Washington, New Jersey, and Nevada allow online gambling. So, if you want to be safe, make sure to consider the state laws of your host. The best bet would be to go for offshore hosting in a country where online casinos are completely legal. Just one more warning – even though online casinos are legal in these countries we listed, you should check if the host allows them to be hosted on its servers, as sometimes they don’t. This web hosting company was founded in 1998, and it has only grown since. They have 8 offshore data center locations, and no matter which of their locations you’re using, they guarantee 99.999% uptime. Their servers are located in Singapore, Lithuania, Moscow, Luxembourg, and the Netherlands. In the world of offshore hosting, they are well known, and even more importantly – they allow casino websites on their servers. Their prices vary greatly, depending on what you need, and they offer a lot of perks. Their budget offshore shared hosting plans start as low as $3.95. These plans have unmetered bandwidth, one-click installer, integrated cPanel, 1GB RAM memory, and you can host one website on this. Their most expensive plan is an enterprise-grade offshore dedicated server at $329.90. It comes with 2 x Xeon Hex Core E5X, which means it has 12 cores. It also has 64GB of RAM, 4 x 1TB HDD, and 100Mbps unmetered speed. Their dedicated plans include a dedicated engineer for the first 30 days and no setup fees. Shinjiru offers quality at affordable prices, which is great whether you’re just starting your casino website, or migrating a developed one. It comes with great pluses, like Anti-DDOS protection, free migration for any plan you choose, and their support is fast. On the other hand, they do have some downsides. Their customer support agents usually aren’t English native speakers, so you might have trouble with understanding. Also, they don’t disclose all the specs for some of their plans, which might be a problem if you need something specific. Server4you is located in Missouri. Normally, gambling is illegal in this country, unless it is the lottery or casino gambling – those two are allowed. This kind of positive legislation is exactly why this is perfect for you and your online casino website. They’ve been on the market since 1997 and have since opened one data center in St. Louis and one more datacenter in Strasbourg. At the moment, they host over 30,000 servers and more than 2 million domains. They guarantee 99.99% uptime, a professional support team, affordable prices, and total freedom when it comes to plan customization. Their starter VPS plan costs $9 per month, and it comes with 2 vCores, 4GB RAM, 100Mbit/s connection, no setup fee and a choice – you can either take 200GB HDD or 100GB SSD. On the other hand, if a VPS is not good enough for your needs, there are their dedicated servers. The Red Line is their most expensive offer at 159.99 per month. It comes with a $59 setup fee, but also 1Gbit/s connection, 2 x 4TB SATA II HDD, 64GB RAM, and Intel Skylake Quad-Core 4x 4.0Ghz. Server4you definitely has potential, and loyal clients. On the one hand, you can choose your server location, they offer unlimited traffic, and your server can be ready in as little as 60 minutes. Also, they are environmentally friendly. These are all great things, but they do have some downsides as well. Their support maybe is professional, but they are not fast. They don’t have Live Chat, and they need a lot of time to respond to either WhatsApp or Messenger queries. So, if you know exactly what you’re doing, and you are able to support yourself (or you have a system administrator of your own) you should take them into consideration. Voxility is one of the most famous web providers out there. The company began its journey in 2004 and have since spread around the world. Now, they have offices in Frankfurt, Bucharest, London, and even San Francisco. In fact, they work with 17 data centers around the world. And, of course, what we were looking for all along – they host casino websites too. Voxility offers a variety of dedicated servers to their customers. You get to choose between using a custom build for your server or purchasing an instant one. If you want to go with the custom build, you might save money and optimize the server, but you will have to wait. It could take about a week to get that server. The cheapest server they offer will cost you $50.91. With this server, you will have 8GB DDR3 RAM, and Core i7-3770 quad-core CPU operating at 3,4 GHz. The most expensive general purpose server they offer will cost you $298.22. This server comes with almost 2TB of storage, 1Gbps network speed, a Xeon E3 CPU. Voxility is a great host for those who are ready to go all in with their casino business. But it is not the provider we would recommend for a smaller business. The customer support is incredible and will always reply promptly. And customizing the server to optimize the performance to price ratio is definitely a plus for this host. What comes as a minus are their prices, poor company website design, and the fact that they don’t offer shared or VPS plans. As soon as you open their About Us page, you will see that they’re not hiding the fact that they are hosting online gambling companies and casino websites. They are based in Curacao, Dutch Caribbean, and they have been involved with web hosting ever since the late 1990s. In 2006, they set up their cloud hosting, and their client base has been growing since. Their service is stable, and they even offer help with your online casino setup. They will help you to get your online casino licensed, but also offer website building and marketing services to help you get your business off the ground. If you’re just starting out, their entry shared server that costs €29 should be just enough. It comes with 5Gb disk space, 15GB bandwidth, 10 domains, 5 databases and 5 email accounts. You can always purchase more bandwidth, disk space, and IP addresses. But, when it comes to their VPS plans, you can customize all you want. Max price for max requirements is €3279, but it is really incredible. If you choose to max everything out, you get a Windows 2008 OS, 300GB extra disk space, 32GB RAM, 10 CPU Cores, 40Mbps general connection, and everything ready for use with this price. 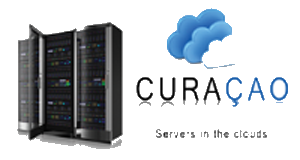 Curacao Web Hosting is really remarkable even among offshore hosts. They insist on a personal approach to business, but also offer premium service. We like the fact that VPS’s can be built with the specs you need, and that all of their plans come with completely transparent specifications. On the other hand, limited bandwidth with each and every plan isn’t the best thing ever. If you need a lot of bandwidth, it will cost you a lot more than it would with some of the other entries on this list. Founded in 2014 in the UK, this company promises that your data, privacy, and access will remain private. And they mean it. They guarantee that they won’t give your data to anyone under any threat, duress or any other manner. They offer 24/7 support via email, ticket or live chat. They also have a blog loaded with useful info. WordPress hosting, shared, VPS, cloud, Kali Linux, Windows, and even Tor Hidden Service hosting – they have it all. If you’re just starting out, their Starter shared plan will be perfect for you. It costs $1.99 per month, and it comes with 10Gb storage space, 100GB bandwidth, integrated cPanel, DDoS protection, free Softaculous and Cloudflare. For those who need advanced options and better specifications, OneHostCloud offers VPS plans for Linux and windows that cost $49.99 per month and come with 100GB SSD storage, 5TB bandwidth, 4 vCPU, 4GB RAM, a dedicated control panel, 480 Gbps DDoS protection, and 1 static IP. OneHostCloud really knows what they’re doing. They offer so many options that they will make your head spin. And, what is even more important, their service is superb, and their plans are affordable. Now, these plans are perfect for small to medium businesses, but if you need a lot more power, you should take a look at the other entries on our list. Another common choice for people who are looking for a casino web hosting is the i3d.net. The company was founded in 2003 in Rotterdam, Netherlands. And they guarantee that their dedicated servers have over 99.9% uptime average. They have data centers in Rotterdam, Tokyo, Washington, Los Angeles, Dubai, Johannesburg, Frankfurt, Warsaw, Hong Kong, Sao Paulo, Dallas, and Sydney. And this is really important for anyone trying to start a casino website. If you want to go with offshore hosting, a host from the Netherlands is probably the best way to go. The most affordable plan they offer comes with the starting Cloud VPS configuration. And it starts at 21 euro. This plan comes with 1GB of Cloud Memory, 100 Mbps speed, 1TB bandwidth and 50gb of storage. On the flip side, the most powerful server you can get will cost you at least €2,000. It includes 4x Intel Xeon E7-4870, over 2 TB of SSD storage and 192 GB RAM. It also comes with 1Gbit connection and 35TB of bandwidth. However, you can upgrade that plan even further, which will, of course, cost you more. This company definitely offers something for everyone. All of their offers are highly customizable. However, they are rather expensive for what they offer. And even the most expensive package doesn’t come with limitless bandwidth. So, if you expect a lot of hits, check out some of the other entries on this list. This company was founded really recently, in 2016. This hosting company specializes in high-risk hosting. They allow casino websites, and they will keep your website online in spite of DDoS attacks. Their live chat customer support is available 24/7, their plans are customizable, so if you run out of space or bandwidth, you don’t have to upgrade to the next plan, you can simply buy more bandwidth, more space, or ask for an entirely customized plan that will fit your needs. Their basic shared hosting offer is called medium risk A, it costs $39.99, and it comes with pretty nice specs. This plan comes with 50GB Bandwidth, 10GB storage space, 10 Gbps maximum attack filtering, 1 domain name, 1 dedicated IP, and unlimited MySQL, FTP and Email. Their best- dedicated server, kDDS D, comes with a hefty price of $825 per month. It includes Dual Intel Xeon E5, 48GB RAM, 2x 240GB SSD, maximum attack filtering up to 350 Gbps, and 20,000GB bandwidth. For such a young company, Koddos is doing great. Their plans are a bit pricier, but they come with DDoS support, they are fast and reliable. On the other hand, their support is a bit lacking, as their team of experts needs more time to respond when a real problem arises. When it became apparent that people want to remain anonymous and use cryptocurrency online, BitcoinWebHosting stepped in and offered what the people wanted. They were established in 2014, and they’ve only expanded their offer since. They accept casino websites, and they respect your privacy. Their Starter shared plan costs only $6 per month, and it comes with 5GB of storage, 500GB bandwidth, integrated cPanel, 1 click installs, dedicated Ip, and 24/7 support guarantee. Their most powerful dedicated server comes with a price tag of $429 per month. It also comes with 12 2.1GHz cores, 64GB RAM, 4 x 1TB SATA, 10TB bandwidth, and full management. When it comes to BitcoinWebHosting, we have to say that we like their policy, their specifications, and numerous cryptocurrency payment options. On the other hand, we are not thrilled with their website, or the speed of their live chat support. But still, if you want to pay with a cryptocurrency, and you want reliable service that allows casinos, you can definitely opt for this host. If you are looking for a good offshore web hosting provider, Leaseweb might be a good choice. The company was founded in the Netherlands back in 1997. Now, they have data centers in the United States, UK, Australia, Singapore, and, of course, the Netherlands. And they allow online casinos. Just make sure to ask for hosting in The Netherlands, as the Dutch parliament gave the green light for the legalization of online gambling. The cheapest plan will cost you only €2.99 per month. That plan comes with 250MB of storage and 25GB of bandwidth. The most expensive Amsterdam dedicated server will cost you €507.99. It comes with 2x Intel 12-core Xeon E5-2650V4 CPU, 960GB SSD storage, and 64GB DDR4 RAM. And these plans are fully customizable. Leaseweb is a web hosting provider that has been around for a while. And, as far as offshore hosts go, those from the Netherlands are probably the best. However, even their most expensive plans come with a limit on the bandwidth. Founded in 2012 in the Netherlands, this hosting company gained a lot of loyal clients in a very short time. They aren’t simply offshore, but they also offer top-notch plans, reliability, great prices, customizability, and a lot of payment options thanks to which you can stay anonymous. They allow online casinos as well as other online gambling websites, and they offer a wide variety of options from shared and VPS plans, to dedicated servers. If you’re just looking to start, they can also offer website development services. They ignore the DMCA, and they will not share your info with third parties under any circumstances. If you’re just starting out, their shared plans will be a good base. SSD Shared Pro V1 costs only €5.99 per month, and it comes with 50GB bandwidth, 10GB SSD web space, 10 MySQL databases, integrated cPanel, free Softaculous, free Cloudflare, 512MB RAM, and 0.7 Core. If you want to go all out, their best VPS SSD KVM Pro v32 plan costs €229.99, it comes with 32GB RAM, 10 core processor, 480GB SSD, unmetered traffic on a 1Gbit port with 100Mbps guaranteed. Even though AbeloHost is not one of the biggest hosting companies out there, they are pretty reliable. Great prices, 24/7 support, 99.9% uptime, and a reliable service all speak in their favor. Another great plus with them lies in their 30-day money-back guarantee – if you don’t like what you bought, you can simply ask for a refund, and that’s it. The only flaw we see here is the fact that all shared plans come with limited bandwidth. All in all, if you want a host that is confident about the premium service it promises for your online casino website, this is definitely the best choice out there.